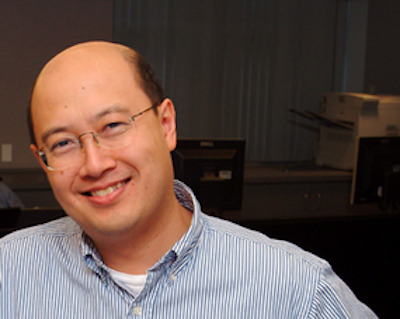 Andrew Lo is a Professor of finance at the MIT Sloan School of Management. He’s also the director of MIT’s Laboratory for Financial Engineering.Most people on Wall Street know him as the leading mind in hedge funds and financial engineering. Time Magazine recently named him to its list of the 100 most influential people in the world. And it wouldn’t be exaggerating to say that his latest project could change the world. It involves using collateralized debt obligations to cure cancer. We wrote about this last year. But in case you missed it, the idea would be using “research based obligations” or RBO bonds, that you could divide into tranches with different risk levels based on stages of research into cancer drugs. Lower rated, higher yield notes would be available at the beginning of a drug trial, with progressively less riskier notes as the trial proceeds. In other words, the principles that made the world’s financial markets significantly more liquid, more efficient, and more accessible could cause financing and interest to explode in cancer research. Lo believes this idea could have broad applications. If it works with cancer, than it could also be usd to propel alternative energy and end climate change. We recently spoke with Professor Lo about the state of the markets, why investing must now be treated like exercise, and what we can expect from his latest work. BI: Stocks are near their all-time highs. Where do you think they head next? AL: While the economy is recovering — and that’s been good news for stocks, obviously stocks have done well over the last year — I think there are a few issues that have to be resolved before we can get back on a more reasonable trajectory of long term growth. Those two issues happen to be the debt ceiling debate (i.e. the sequester) and then the problems with the European sovereign debt crisis. Neither of those issues has been resolved yet, They’re still sort of hanging over us. The hope is that we’re gonna have reasonable outcomes in both cases, but it’s going to take months before we really get a chance to fully realise what those outcomes are going to be. Volatility, especially in equity markets, is quite low, but I think at the same time the volatility of volatility is pretty high. There’s still a fair bit of uncertainty with respect to what might happen over the next few months, more so than in the past. Obviously there’s always random events that are going to affect markets from time to time, but nothing quite so systemic as this debt ceiling debate and the European sovereign debt crisis. In both cases you’re going to have some very significant macroeconomic intervention that will have to emerge in order to address those problems. So those are two very big shoes that are likely to drop, and we’re going to need to get past that before we can focus on business as usual. BI: What’s the biggest misunderstanding people have about the financial markets? AL: Probably the biggest misunderstanding is that financial markets operate like a machine, and that if you can only understand the different gears and different underlying parameters, then you will have the recipe for success. Markets are not nearly that mechanistic. They’re driven by human reaction — fear, greed, anxiety. It doesn’t mean there isn’t any logic to the markets, in fact quite the contrary, I think that biological systems have a logic all of their own. But what it does mean is that the simple rules of thumb for managing investments — 60:40 stocks and bonds, invest in the long run, diversify — I think all those ideas are going to be challenged by the complexity of current market conditions. It doesn’t meant that those other ideas are wrong. The challenge is to try to understand when they apply and when they are suspended because of strong macroeconomic shocks that affect everybody at the same time and create the kind of herd mentality that we’ve seen over the past several years. BI: Did the recession permanently change anything about the way we invest? AL: I think that we are still in a period where there are going to be more policy interventions by central bankers and governments. Just recently we saw the G-20 meet and talk about currency markets, and the claim is that they will allow currency markets to move with market forces. But we all know that over the last several years there’ve been any number of foreign currency interventions by central banks because foreign currency exchange rates actually have a big impact on trade deficits, so it’s virtually impossible to prevent that from happening, and the more complex the situation is with regard to various different kinds of trade imbalances and market conditions, the more likely it is that you’re going to see these kind of interventions. We just happen to be in a period of very activist central bankers and governments, and it’s one thing if intervening is an unusual and unprecedented activity, but we’ve already gone past that stage, and now it’s a very common thing for central bankers to engage in quantitative easing. So in a period like this, it will be the case we will see more interventions until such time as a new normal emerges where growth becomes more robust, and we then proceed to a situation where we can step back and allow the economy to function on its own. BI: How should someone just entering their prime earnings years think about investing these days? AL: I would tell them what a number of experts in other fields will tell the public, which is that you’ve got to get smarter and more active about your financial health. In the same way that doctors and nutritionists tell us that we’ve got to be more proactive about reading the labels and making sure we get enough vitamins and fibre, the good kind of cholesterol and not the bad kind, and so on, we have to be more proactive about our fin wellbeing, we have to understand what the fin landscape looks like in the new world order, various kind of investment vehicles, we have to understand what the risks are behind some of those vehicles. A case in point is ETFs. They’re becoming more popular now. But there are some rather complex ETFs, like inverse leveraged equity ETFs, that can actually behave in very counterintuitive manners. So I think overall, we need to tell investors they need to be more proactive about engaging with financial markets and with financial advisors. And with friends and family, to think more carefully and more regularly about their investments and ultimate financial objectives. If they educate themselves and take the time to really understand what their options are and how to go about achieving their life goals with the various different financial vehicles available to them, I think that the outcome could be quite good, but it does mean more effort, and I think that’s true all across the board. I think it’s more complicated now to engage in proper health, it’s more complicated to buy consumer electronics, even our phones give us more options than ever before with our apps. So I think we need to be more educated consumers about our financial products. BI: How can we do that? Are there any particular resources you would recommend? AL: I think there are many sources of useful information, what I usually do is look at all the major market indices: stocks, bonds currencies and commodities, and then I look at the political landscape in which those market conditions are evolving and try to get a sense of what kinds of risk exposures i’m engaged in in my portfolio. I think that’s really the key now adays. You might still be sceptical, as many people have been, about whether you can generate true alpha or excess return, and I can understand why ppl are sceptical about that, it’s hard to identify good managers. But even if you’re sceptical about good alpha, you shouldn’t be nearly as sceptical about sigma, in other words about risk. You can be passive in terms of your investment approach to alpha — that is, you can put your money in index funds. But remember that being passive about alpha doesn’t mean you have to be passive about risk. you need to be more active about managing your risk given the volatility roller coaster ride all of us are on, like it or not. So keeping your money in cash is no longer the answer, keeping your money passively invested in the S&P 500 is no longer the answer, one has to be more proactive about managing risks and trying to get diversification in a broader set of markets both long and short. BI: What is the status of the cancer research financing project? AL: That’s a really interesting initiative that I never expected to be involved in personally. My focus and my expertise is in financial investments and financial engineers. So when my coauthors and I wrote the paper on how to apply methods like portfolio theory and securitization to raise money for cancer research, we really did it as an academic exercise with the hope that the stakeholders in the industry would take note and ultimately implement some of these ideas. But the reception that we’ve gotten from all the various different stakeholders has been so positive that we are actually now engaged in more detailed research, with more data, about the impact of providing guarantees through the credit default swap markets, of engaging in various kinds of new business models to develop these megafunds, that we’re quite excited that we think something could happen. So in addition to that additional research that we’re doing, we’re also in the process of organising a conference here at MIT in June, and this conference is going to take place over two days where we’re going to be inviting all the major stakeholders: pharmaceutical companies, biotech entrepreneurs, investors, credit rating agencies, oncologists, and patient advocacy groups to come together and look very hard at this issue of whether it’s possible to develop a truly sustainable private sector solution, a for-profit effort at raising resources to engage in biomedical innovations, particularly in cancer. And so far we’ve gotten a fantastic reception to this, so we’re expecting a conference of between 75 and 100 people to show up to try and study this problem and ultimately develop actionable items and solutions that will ultimately be implemented. We were shocked because we thought it was just an academic exercise that we hoped would be of interest to some groups, we actually found it was of interest to every single group, including the pharmaceutical companies, who you might think would be threatened by having a disintermediation. It’s like the banks that were providing mortgages before securitization, why would banks welcome securitization, it would disintermediate the business that they do. But it turns out that the pharmaceutical companies feel so challenged because there isn’t enough funding at the early stages of clinical research that the pipeline of new molecular entities that will ultimately become drugs, the pipeline is becoming thinner and thinner because there’s less and less venture capital money going into the industry. So they’ve actually been supportive in this effort and may very well be among the first investors if when and when these cancer megafunds get launched. Among organisations who’ve provided support are the National Cancer Institute, which is part of NIH, and the american cancer society, both have lent their names to this conference and they’re involved in organising it. It’s a who’s-who of both oncology and the investment industry. So really I’m trying to bring together the folks who have the money with those who need the money, and the hope is that given that there’s so much opportunity here, — I’m talking about economic opportunity, I’m not talking about charity — I’m talking about the fact that you can earn a really decent rate of return for investors by putting together large portfolios of cancer drug projects, and I think this is a terrific opportunity for both parties to benefit. BI: Have you looked into applying this methodology to other social goods? AL: I’ve had conversations with the folks in the Energy Department about this kind of a model for alternative energy sources, and I think that our perspective is if you can create one megafund for one industry and demonstrate it in an industry as complicated as oncology, that it’s possible to raise large amounts of money in the private sector with proper financial structures, then I think any number of industries will be able to figure it out and apply it to their own challenges. BI: How does one react to being named one of the world’s most influential people? AL: I’m not sure there is a way to digest that, I was very shocked and flattered to be included in such elite company, and such wide ranging company, from individuals that are highly accomplished academics to artists and comedians and politicians. It’s very humbling, and in fact I sort of view it as a responsibility now to be able to make use of that visibility, and one of the reasons why I’ve decided to push further with this cancer effort is precisely because I feel it’s a way for me to use that visibility for the better and it allows me to convene this conference with a certain degree of credibility that I might not have had before, so im v grateful to time mag for this extraordinary honour, it gives me a platform now to do something even bigger. The fellow from Time magazine said that never has it been easier to gain influence, but never has it been harder to maintain influence. That was a very interesting insight I took away from the evening. Thanks to Professor Lo for taking the time to speak with us.